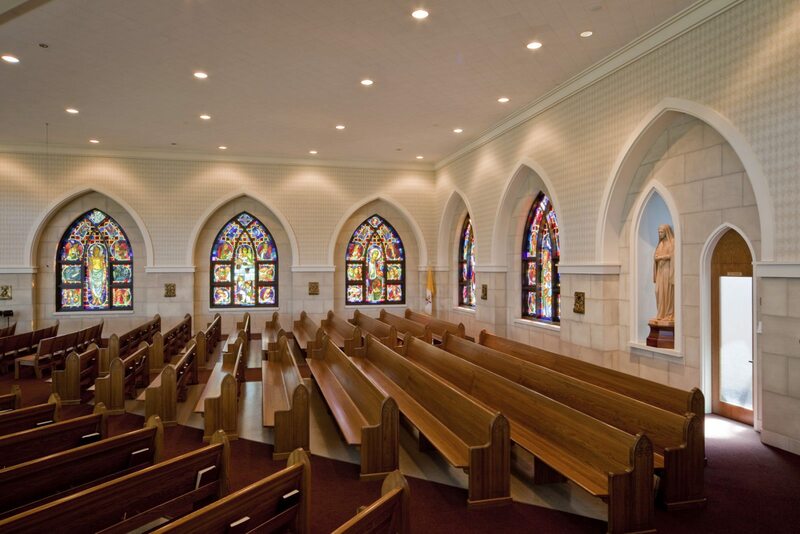 Having mass in the parish multipurpose room since 1958, this long awaited church serving the 850 families of Our Lady of Lourdes parish in Washington, MO is prominently positioned on a hillside adjacent to the existing school. A crescent-shaped drive leads visitors to the front of the two level 35,000 sq. 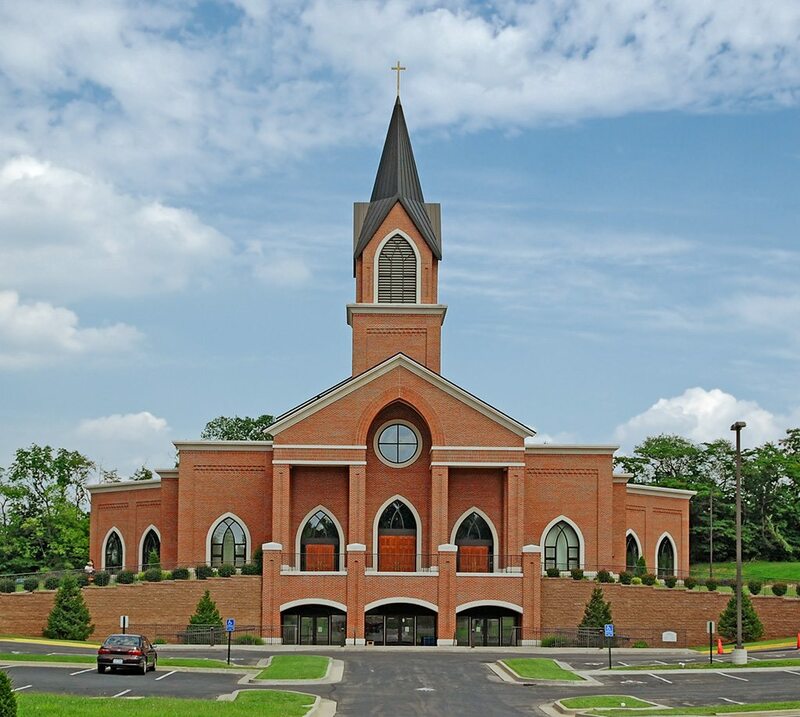 ft. structure, which includes a bell tower that soars 126 feet above the base of the brick-and-stone church. 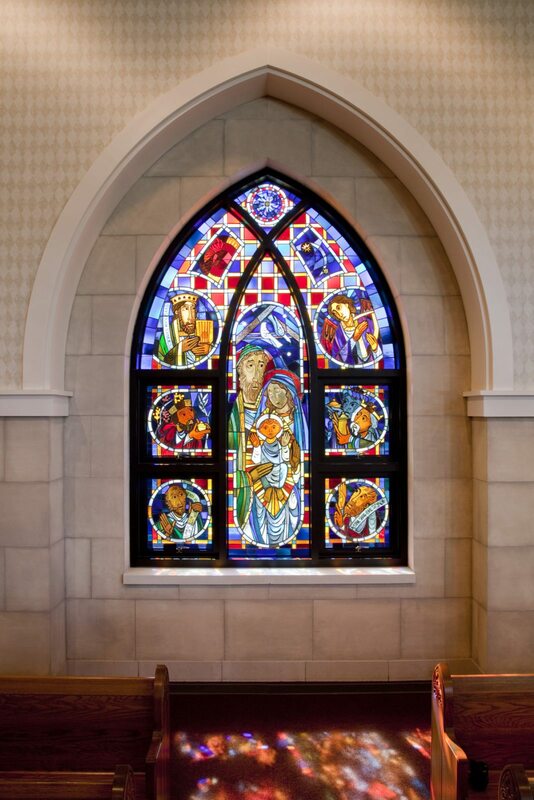 The 100 foot long vaulted nave is painted in a pale blue with faux stone treated walls penetrated by Gothic-style windows, which will feature traditional stained-glass panels. 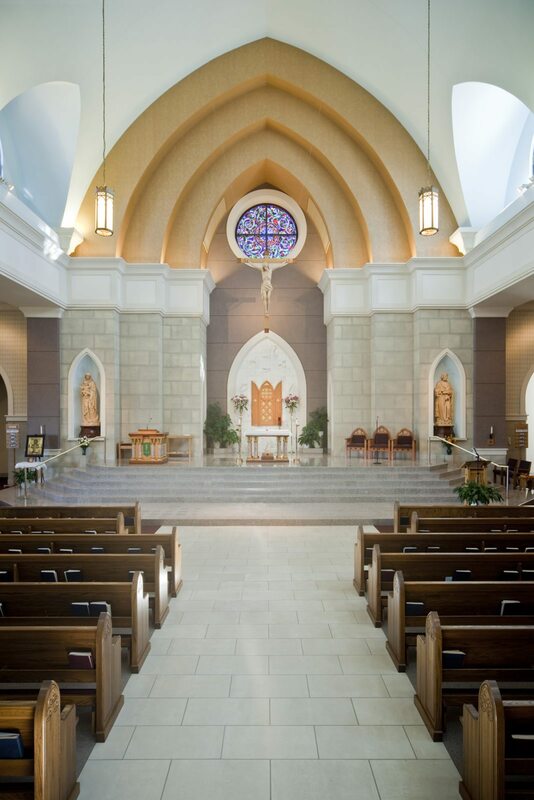 Floor treatments include natural granite flooring at the main aisles and raised altar area. 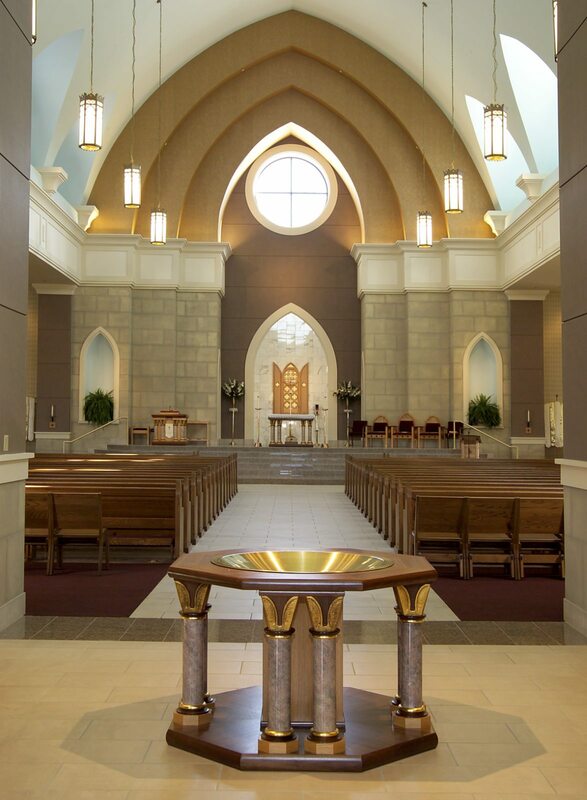 A separate Eucharistic Chapel lies behind the body of the church. Designed to seat 800 members the side wings of the fan shaped plan can be extended to accommodate an additional 400 seats. The church’s lower level includes a parish hall which doubles as the school cafeteria, with seating up to 500. 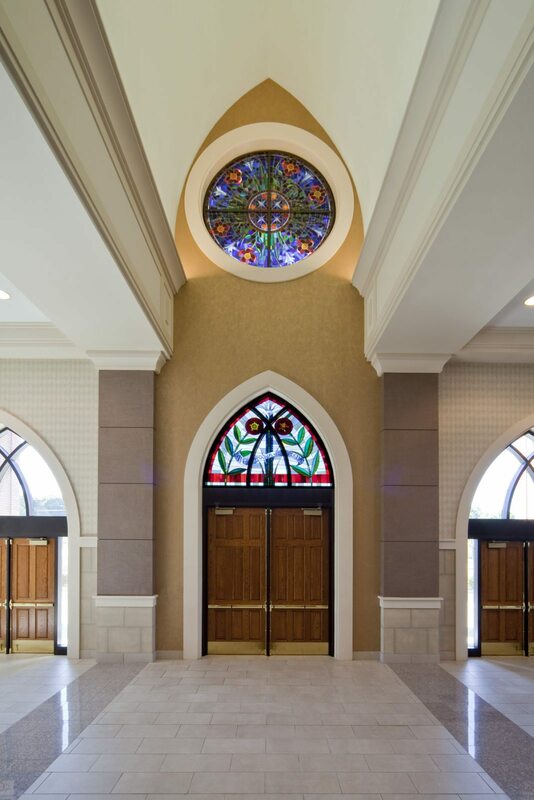 Separately accessed from the upper level church, the lower level also includes an entry foyer, separate meeting rooms, restrooms, a fully equipped kitchen and semi-private outdoor courtyards which act as light well to the lower level facilities.